Katrina Kaif is diligent and it shows in her performance as Babita. Zero Review: Despite bad reviews, the audience applauds Anushka and Katrina! And the wait is over as the much-awaited movie of Bollywood Zero is finally here in theatres. SRK and Katrina’s fans have waited for the film with bated breaths even since Shahrukh’s character was first revealed. Zero is directed by Anand L Rai, in which Shahrukh Khan is playing the lead male role as a dwarf Bauua, Singh. The movie also features Katrina Kaif and Anushka Sharma. While Katrina is playing a leading superstar role, Babita, On the other hand, Anushka is playing the character of a NASA scientist with cerebral palsy, Aafia. Fans who have been eagerly waiting for zero, seem not to be satisfied with the movie. Most of the movie reviews say that SRK and Anushka worked hard as portrayed their character really well. Buy, the reviews fault zero for having the same old content. Surely, the big trio Anushka Sharma, Katrina Kaif and Shahrukh Khan have made their presence felt with excellent performance in the movie, Zero seems to be all revolve around Anushka Sharma’s acting, Srk’s charm, and Katrina Kaif’s sassy look. "The biggest surprise of the film is Katrina Kaif. She looks so confident in the film that it has to be seen to be believed"
"Katrina Kaif has never looked so HOT before! She impresses big time. 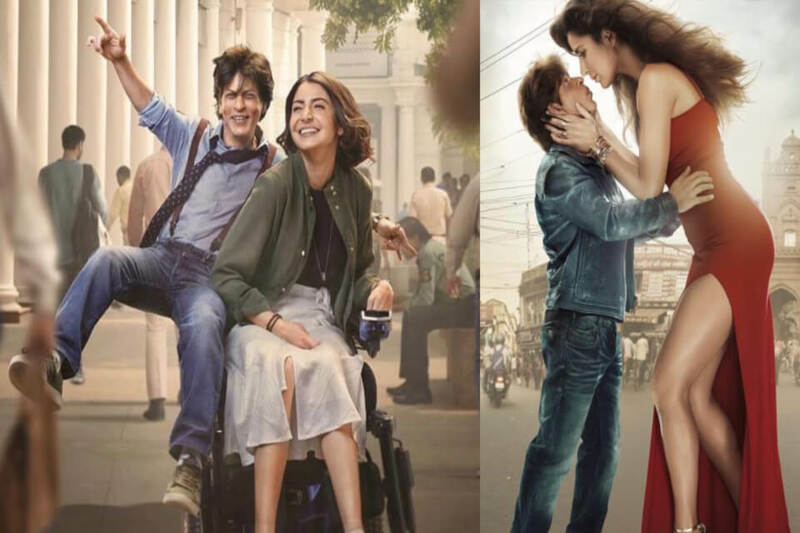 She has carried the cockiness of a big movie star very well, displaying her inner incompleteness at the same time"
Five word review – iski maa ka bhosda madarchod..
Pehle shahrukh ban karo desh baad me surakshit hoga..
What are your reviews on Zero? Must share with us in the comment section.